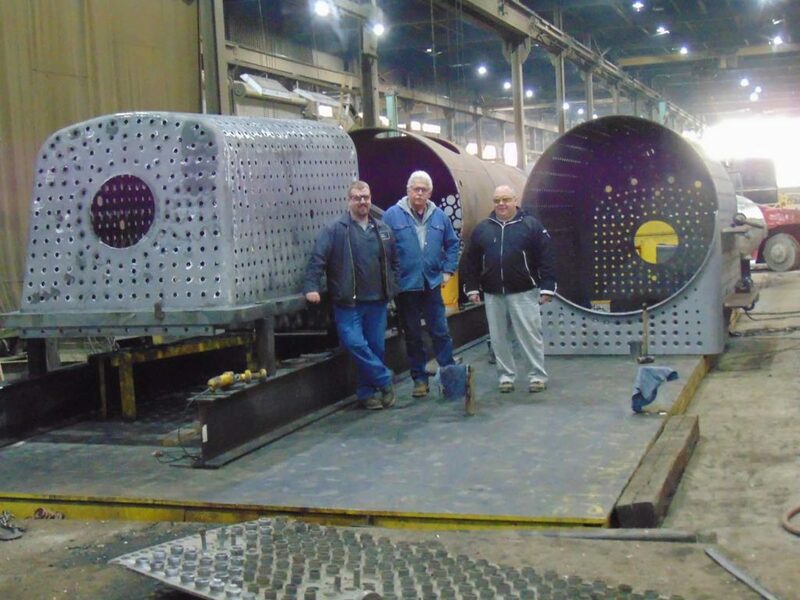 The flanged sheets worked on by Gary Bensman of Diversified Rail Services were completed and sent back to Continental Fabricators at the end of April. This was a little longer than we had hoped but the finished results were well worth the wait. 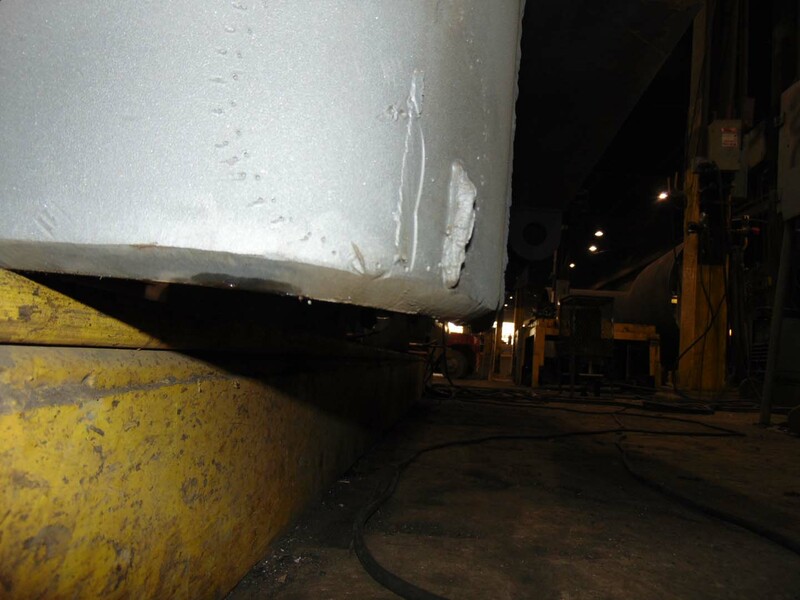 I had instructed Continental not to proceed with any of the additional fabrication until the finished flanged sheets arrived and could be verified dimensionally. This proved to be a worthwhile wait as the sheets had to be altered a little in order to fit through one of Gary’s flanging dies. 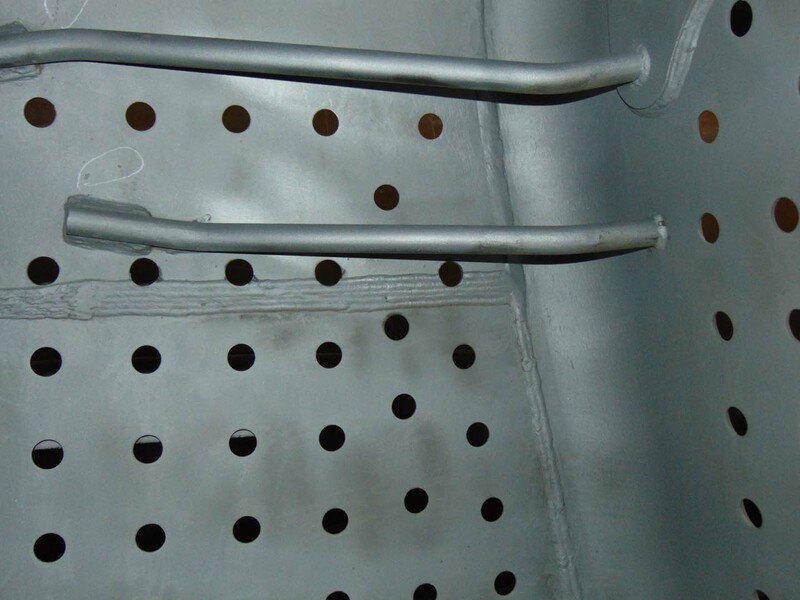 In order to fit his standard tooling he was forced to reduce the inside radius of the door sheet and rear flue sheet from 2” to 1.5”. The deviation from the print does nothing to effect the boiler’s performance, nor would it be noticeable with the naked eye. It did however change the dimensions for the mud ring. 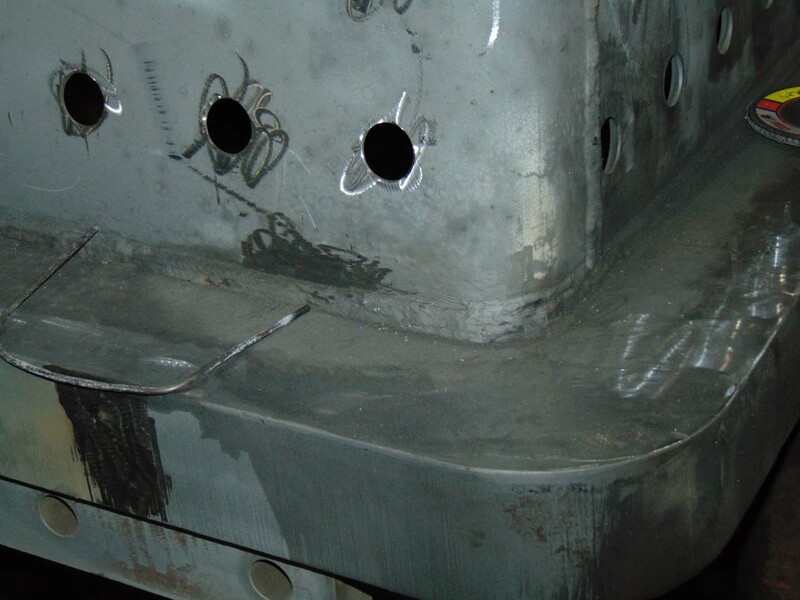 We were able to adjust the boiler’s 3D model and produce a mud ring that fit the flanged sheets. 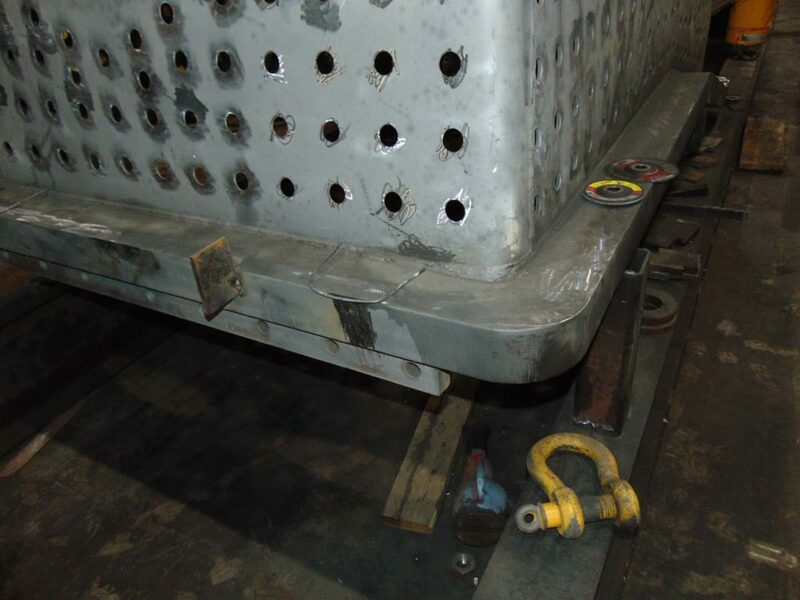 Continental then proceeded to fabricate the mud ring to the new dimensions and ship it to SPEC Machine. It was test fitted for dimensional accuracy and all of the dimensions aligned as expected. While at SPEC we took the opportunity to drill and tap the underside of the mud ring to alleviate the need to do this after assembly. This negates the need to perform this task upside down ( a real pain). 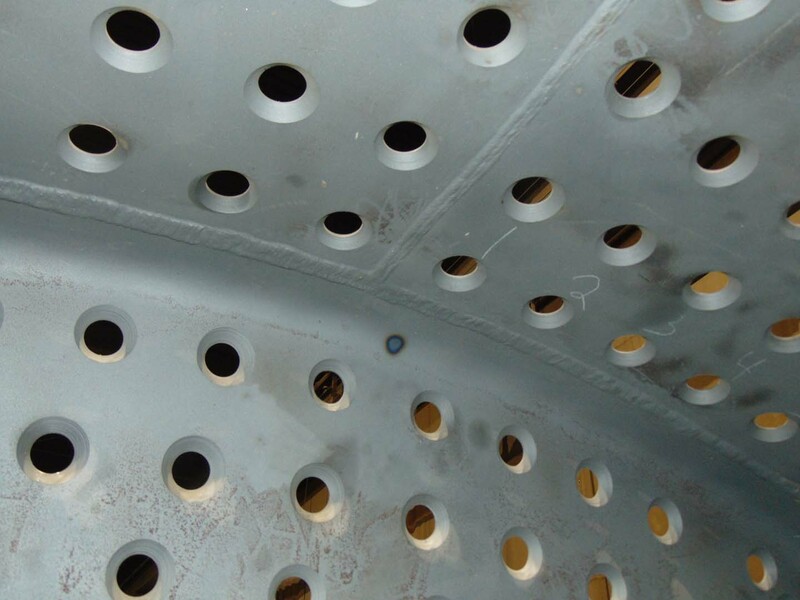 The completed mud ring was shipped back to Continental Fabricators at the end of May along with all of the new 5” flues that were previously housed at the museum. Since the mud ring completion I have been updating the stay bolt layout for the throat sheet and backhead. The radius change required a slight change to the outer edge of the stay layout. We had known for some time that the original backhead layout needed some adjustment so this turned out to be the ideal time to perform this task. I completed the new layouts over in early June and began transferring them to Continental Fabricators on June 12th. We are back onto the task of laying out the stay bolts and other purchased items. 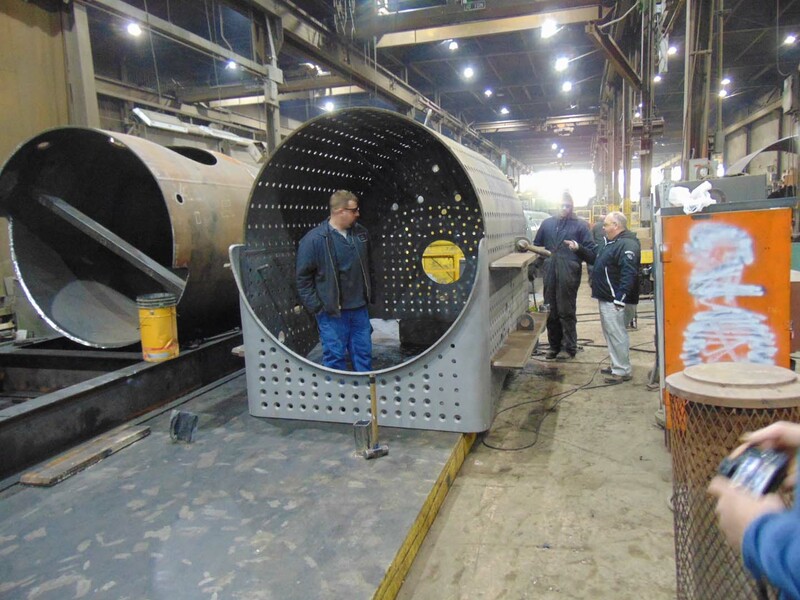 Continental Fabricators (located in St. Louis) is preparing the mud ring at the moment. They will ship it to SPEC Machine (in Middleton, WI) as soon as it is complete. We expect that to happen within the next week or so. Once at SPEC, we will test fit the mud ring to the frame and make sure all fits as designed. As soon as we have completed the test fit and made sure everything is aligned, the mud ring will be shipped back to Continental for final assembly. 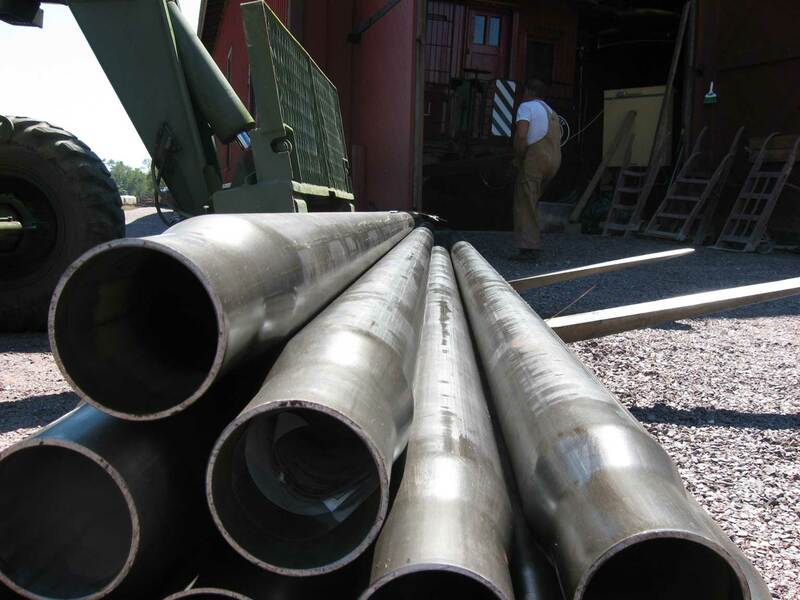 Traveling along with the mud ring will be a total of 26 superheater flues, each 5″ in diameter and weighing nearly 200 lbs. a piece. 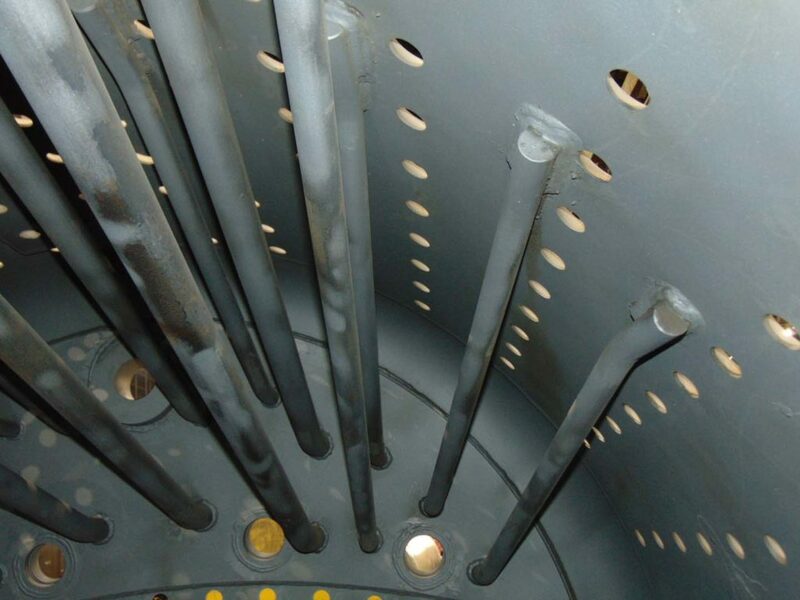 The new superheater flues were fabricated and flanged previously and have been stored at Mid-Continent since 2010. 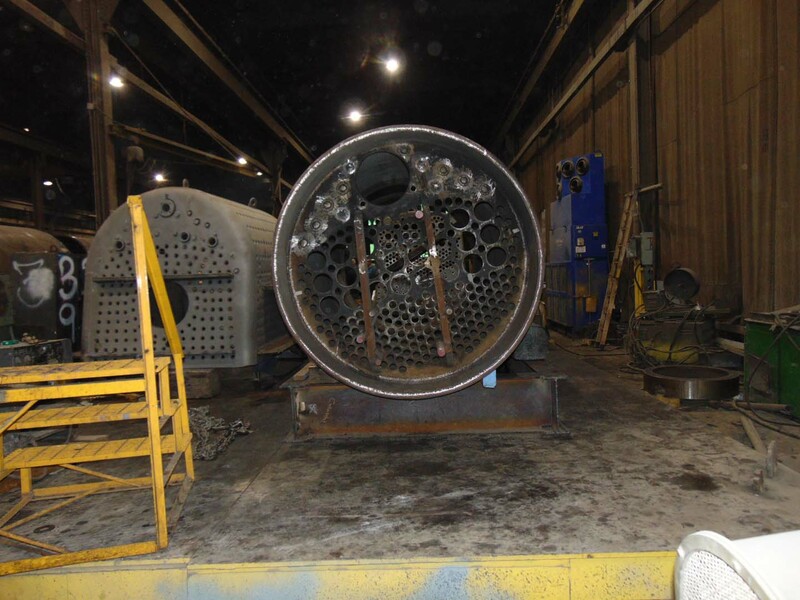 These were loaded onto a trailer last week by Steve and Tyler Roudebush and taken to SPEC Machine to await transportation to Continental Fabricators where they will be installed as part of the boiler’s final assembly. 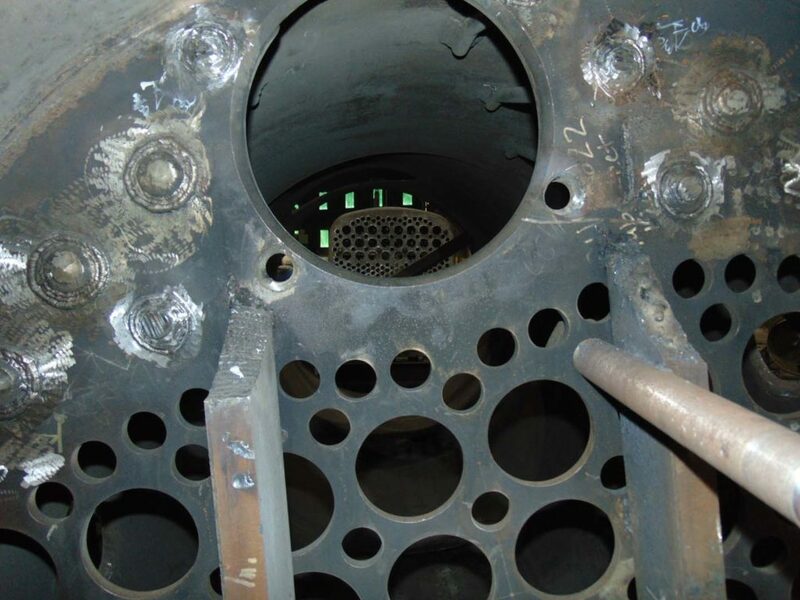 C&NW 1385’s superheater flues. This image was taken in 2010 when the flues were being placed into storage. In early May 2017 they were removed from storage and will soon be installed into 1385’s new boiler. May is proving to be a very busy month for the 1385. 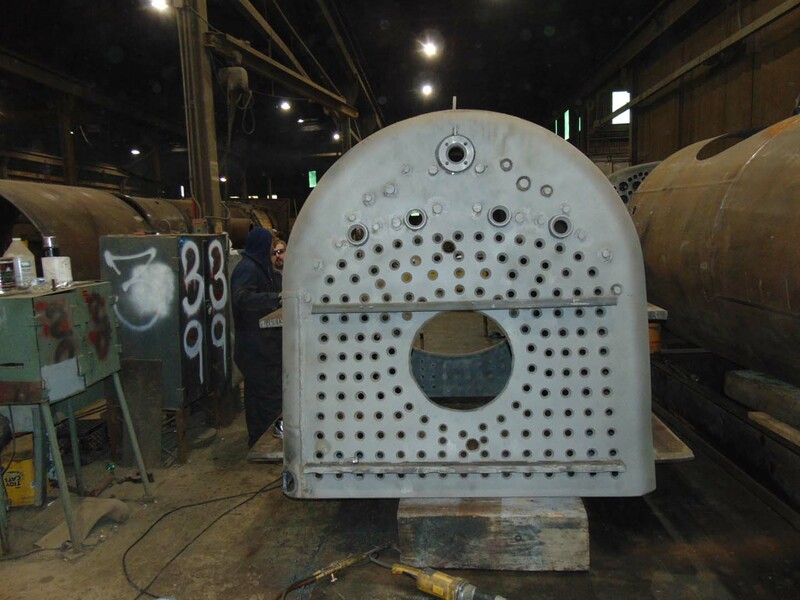 Years of careful research, analysis, engineering, review, and fundraising have led to this point where the new boiler is finally coming together. 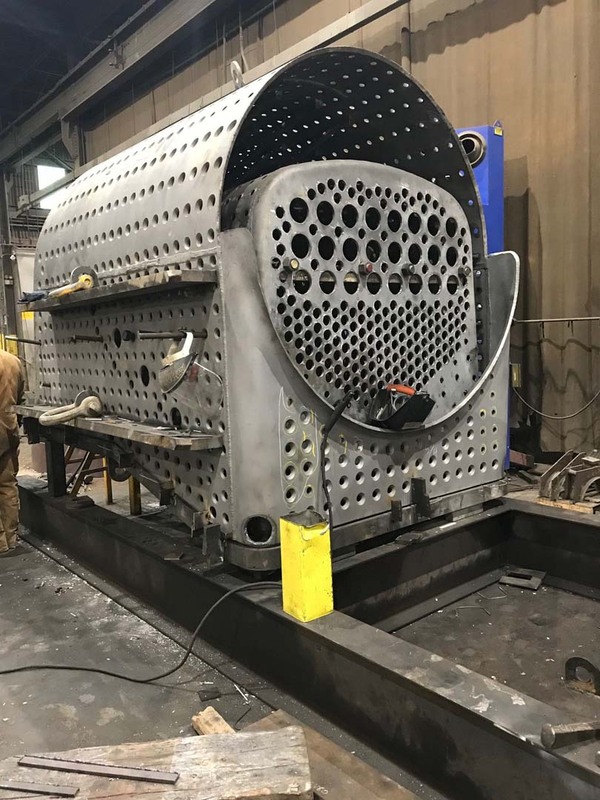 After the boiler is assembled by Continental Fabricators, it will be shipped to SPEC Machine this summer and set on the locomotive frame. 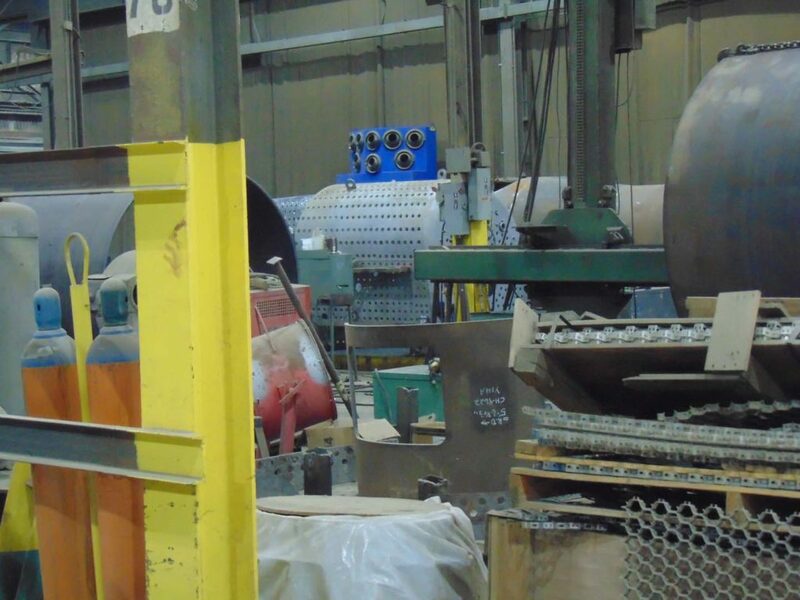 At the same time as the boiler arrival, the locomotive frame/running gear will be moved from its current shop bay into a recently constructed addition to SPEC Machine’s facility designed specifically with the 1385’s needs in mind. 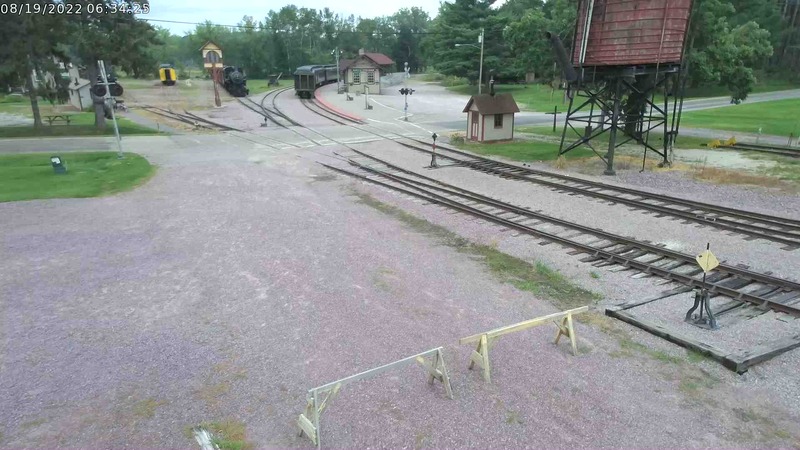 The new addition can better accommodate the full height of the locomotive and will allow reassembly of the 1385 to continue unimpeded until it is ready for delivery to Mid-Continent. 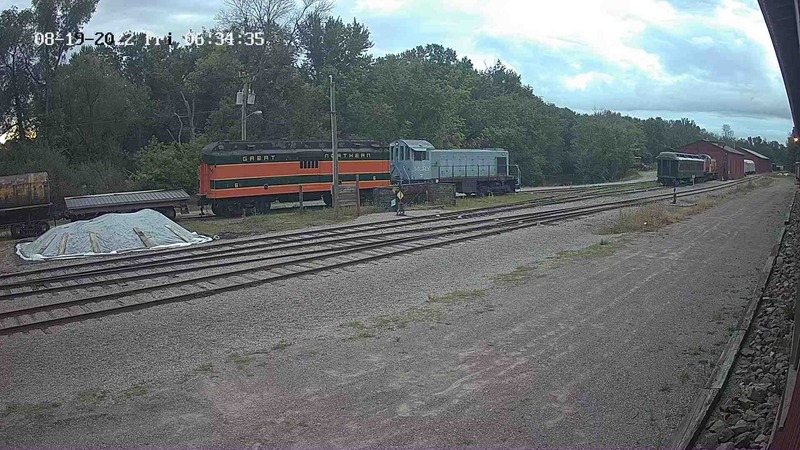 To make a donation in support of completing the C&NW 1385’s rebuild, please consider visiting our Donation page.